Lawmakers voted 359-67 to send the measure to the Senate, which is set to pass it later this week. Jan. 15 (Bloomberg) — The House passed a $1.1 trillion bipartisan spending bill that would finance the federal government through Sept. 30 and avoid a repeat of October’s partial shutdown. Lawmakers voted 359-67 to send the measure to the Senate, which is set to pass it later this week. Because current funding had been scheduled to lapse tonight, both chambers passed a separate measure pushing the deadline to Jan. 18. The White House-backed spending bill includes $1.01 trillion for U.S. government operations and additional funds for war financing. To reach an agreement, Republicans ceded on their demands to block funding for President Barack Obama’s health- care law, while Democrats voted to spend far less than they proposed earlier this year. 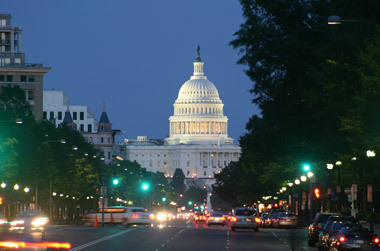 Lawmakers agreed on the $1.01 trillion base spending level in December as part of a two-year budget plan. Today’s bill would continue Congress’s trend toward reducing discretionary funds. Spending in fiscal year 2010, including wars and disaster aid, totaled $1.275 trillion, according to the House Appropriations Committee. That compares with today’s $1.1 trillion measure for fiscal 2014, which began Oct. 1 and runs through Sept. 30. After a 16-day shutdown in October and years of automatic spending cuts and stopgap bills that took the government from crisis to crisis, lawmakers said they were glad they were finally able to vote on a comprehensive plan. Appropriators in the House and Senate worked throughout the holidays to craft the bill, and they announced the agreement Jan. 13. Several lawmakers complained they and their staff members didn’t have time to read the whole measure. Massachusetts Democrat Jim McGovern said on the House floor he expected that lawmakers may soon learn it contains provisions they wouldn’t have wanted. Taxpayers for Common Sense, a Washington-based advocacy group that opposes government waste, said a person would have to read the bill at more than a page a minute, without sleep, to understand the entire measure in time for the vote. “While we’re happy Congress is finally getting its work done -– albeit more than three months late — this is not how legislation that is funding all of government should be done,” Steve Ellis, vice president for Taxpayers for Common Sense, said in an e-mail. House Appropriations Chairman Hal Rogers, a Kentucky Republican, told the Rules Committee yesterday he hoped the rush was a one-year-only event. “I only wish we could consider each and every bill in this package separately, but unfortunately, the timing gives us one shot and one shot only to get it done,” Rogers said. Lawmakers have said a more regular appropriations cycle will reduce the threat of shutdowns and provide certainty to businesses and investors. U.S. dollar volatility in the last 90 days fell to 4.52 percent from its one-year high of 7.34 percent last September as a shutdown and debt crisis loomed, according to the Bloomberg U.S. Dollar Index. The index, an indicator of market uncertainty, represents 10 major currencies weighted by liquidity and trade flows. Lowey and Rogers said they intend to pass 12 individual spending bills for fiscal year 2015 before it begins Oct. 1. The last time Congress passed all of its spending bills on time was during the mid-1990s. This week’s agreement will allow Congress to “get the train back on track,” Rogers said. The $1.1 trillion measure is H.R. 3547. The three-day stopgap is H.J.Res. 106.